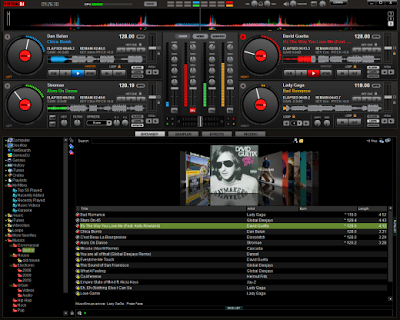 Virtual DJ by ATOMIX software was really an awesome Music Mixing software. it is one of the most powerful (If not the best) in my opinion. I remember when I first downloaded the software (Version 1), I used its trial version and love it. So. I spent hours and hours of my precious time to make it full version but it's really very resistant (Duh). My option then (Aside from buying it) is to decompile the software and remove it's security hash. I succeeded duh, but 3 days after I successfully cracked (Which made me spent 6 hours straight) the software, cracked serial numbers had been released by TamCORE (A group of Reverse engineers). I feel then that my effort is useless and that my time in cracking is just a wasted time. This crack posted by Sir Inzane is some what a big help to those who wanted a full version of this awesome software.